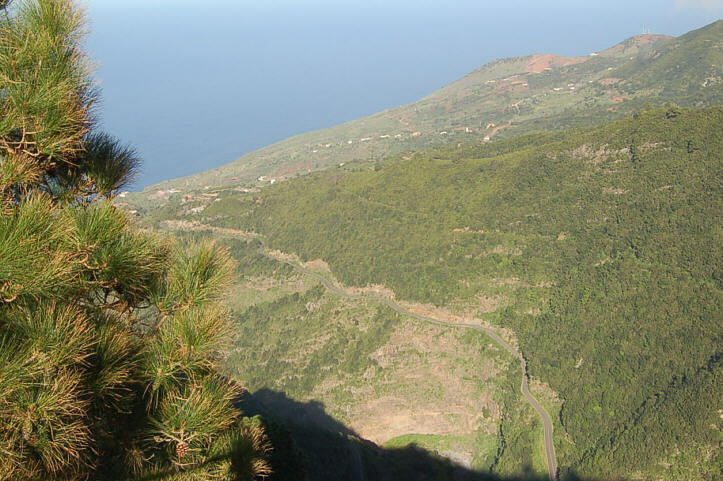 The mountainous landscape in the northeastern part of La Palma shelters the natural jewel of Los Tilos, declared by UNESCO in 1983 a Biosphere Reserve (511 hectares), extended in 1998 and then in 2002 to declare the entire island of La Palma a World Biosphere Reserve. 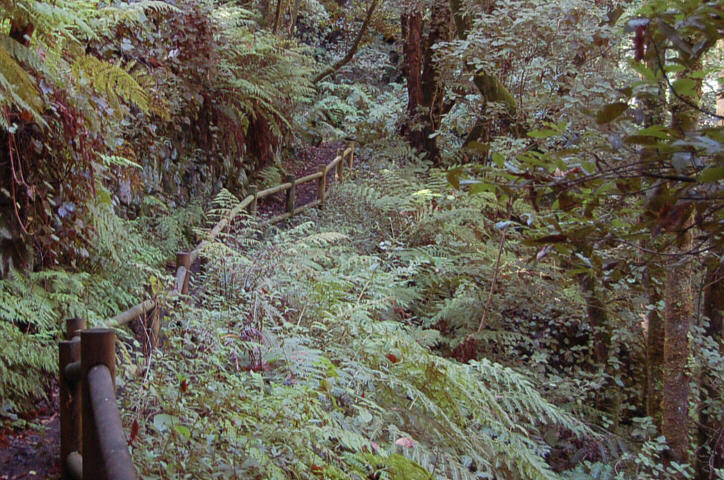 Los Tilos is a sub-tropical rain forest which shelters hundreds of plant varietes, some of which are unique in the world. 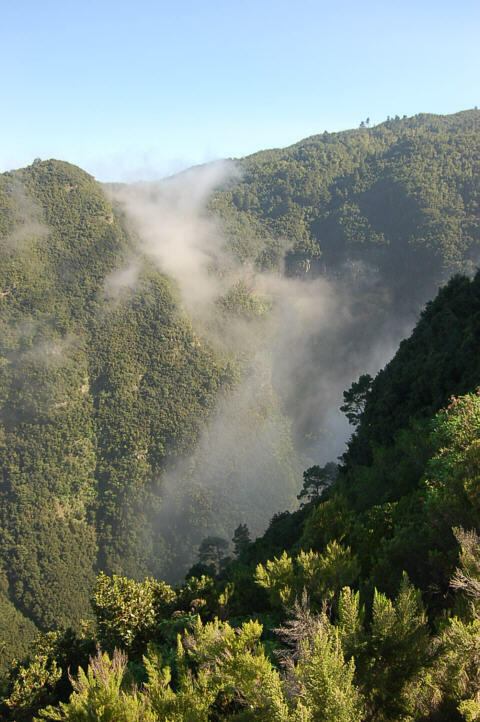 Here you can find one of the most important laurisilva forests of the Canary Islands, a group of endemic plant species that became extinct in Europe during the Tertiary Period. 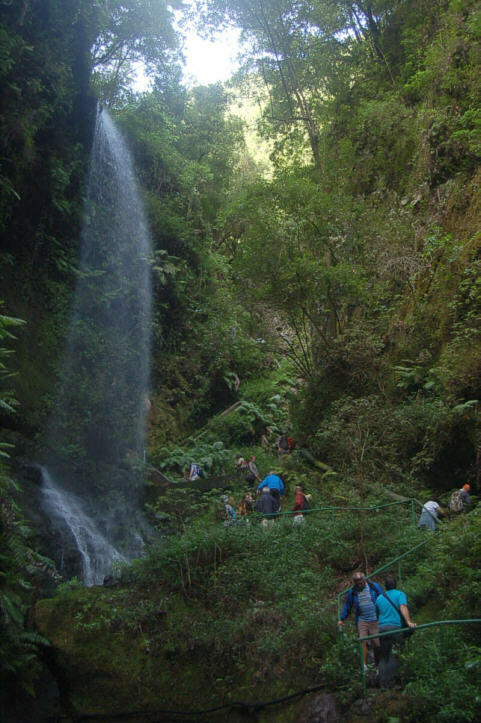 The Natural Park of Las Nieves (Parque Natural de Las Nieves) has its maximum expression in the Barranco del Agua. Its basin has been excavated by the incessant flow of water over thousands of years; erosion has formed a deep cleft in which the laurel forest grows. Shadows and fresh trails invite the visitor to enter into this diverse plant world of giant ferns, laurels, tiles, white sticks, barbusanos, viñatigos... proliferating favored by the mild weather conditions. The constant presence of water and springs reveal the important aquifer flowing inside this spectacular terrain. The Visitor Center provides information about flora and fauna which inhabit the Tilos ecosystem. The recreational and camping area, lookouts and roads have been cleared here, so that the visitors can admire for free the lush and valuable nature. In the northeastern part of the island, in the municipio Barlovento about 600 m altitude, lays the largest artificial lake of La Palma, a modern waterproofing system created in 1970 in a volcanic crater which can store five million cubic meters of water. Besides this giant tank water of La Laguna, there is a large recreational area, providing visitors with all the necessary infrastructure, such as picnic tables, stove, toilet, lake, playground, a nice restaurant... making this popular enclave an ideal place to spend a day camp or picnic. 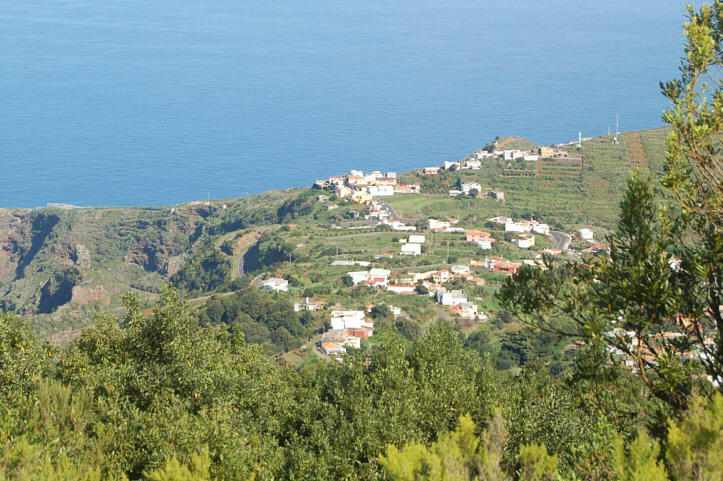 Its walks and spacious plains are repopulated with vegetation of laurel and from the viewpoint of La Laguna will enjoy beautiful views towards the coast and the green tops. 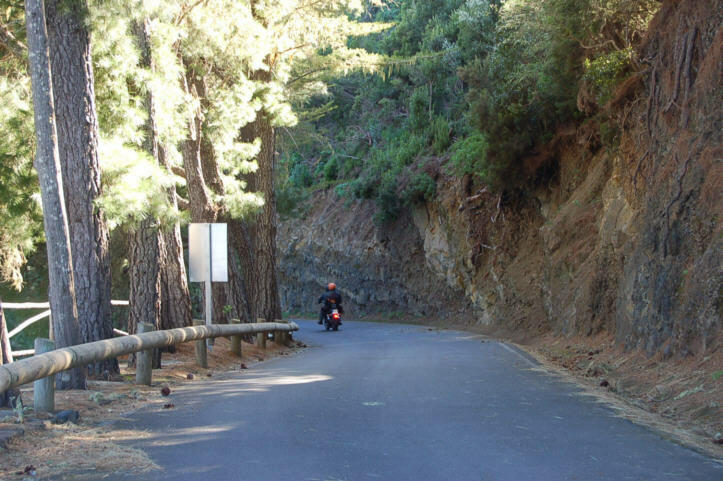 This is one of the quietest places that exist on the island of La Palma. Ancient Dragos trees, few rock carving, small Canarian typical houses and an easy travel route lay in the lower area of Las Tricias, in the Village of Garafia. The trail runs partly through caves once natural, probably used by the ancient inhabitants of the island to guard against adverse weather conditions, now used to convert into sheds, parking or real homes. Some buracas are even stuck in the middle of the ravine. Very close to the town La Tosca, the visitor can find the magnificent viewpoint of La Tosca. 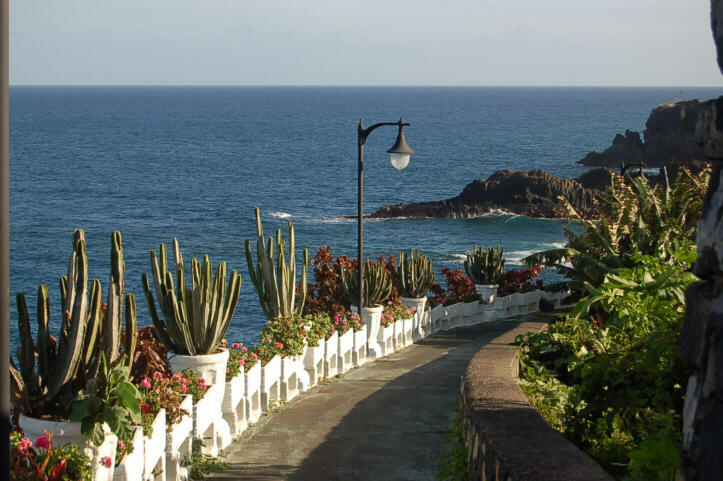 This scenic point offers sweeping views over the northern region of the island furrowed by deep ravines and narrow ridges that fall on the steep coasts. The hamlets of Gallegos, La Palmita, Topaciegas and La Tosca dress a landscape where tradition breathes and feels the isolation that marked the relief itself. At the foot of the viewpoint there is an old Dragos tree and few dry stone houses. Its wisdom was sought in antiquity for its therapeutic and green glass was utilized as livestock feed and crafts. The size of this emblematic plant inspires the admiration of visitors who overlook this picturesque place. With the breeze coming from the salt-laden horizon one can admire the windward coastline devoid of beaches embedded in an irregular appearance of contrasts. The rugged landscape rises from Punta Gorda more to La Caleta de Talavera. Here lies a small old port used to ship the fruits into the twentieth century. Charco Azul is a set of saltwater swimming pools along the promenade at El Melonar, between the village of San Andres and Puerto Espindola, located in a semi-urban area. The natural coastline is rocky, and the sea is frequently very rough, but inside the fenced pools, the water is always calm and safe. 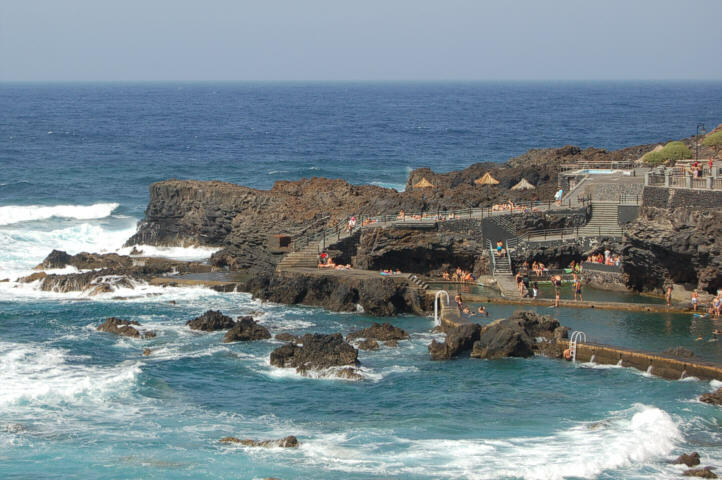 There are three pools: a large one, a small one for children, and a rock pool known as the "Charca de las Damas". Since this is one of the most popular bathing areas in the north of the island, it has plenty of amenities: a Red Cross station, showers, toilets, changing rooms, and sunshades. It also has a bus service and a big car park. 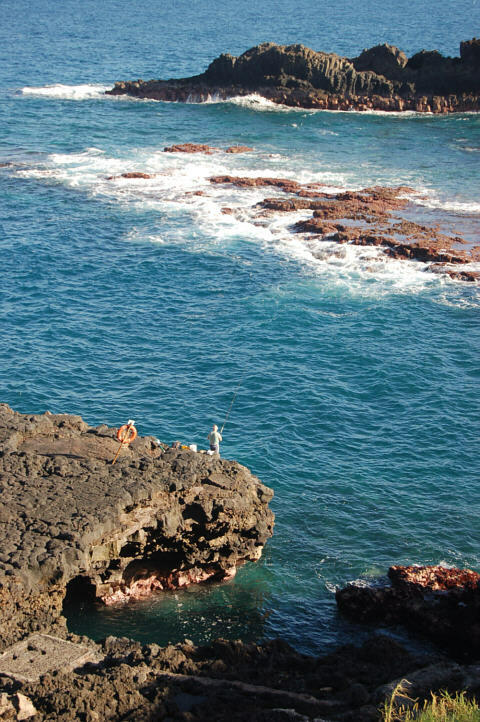 The natural pools of La Fajana is a must visit location for anyone who wants a different kind of swimming experience while visiting La Palma. The piscinas are built on the coast near San Andres y Sauces, with a series of pools integrated into natural rock formations. It is a fantastic place to go for a swim among small fishes, highly recommended. There are change rooms, washrooms, and showers available in a modern complex above the pools, and a seafood restaurant where one can have lunch after a swim.